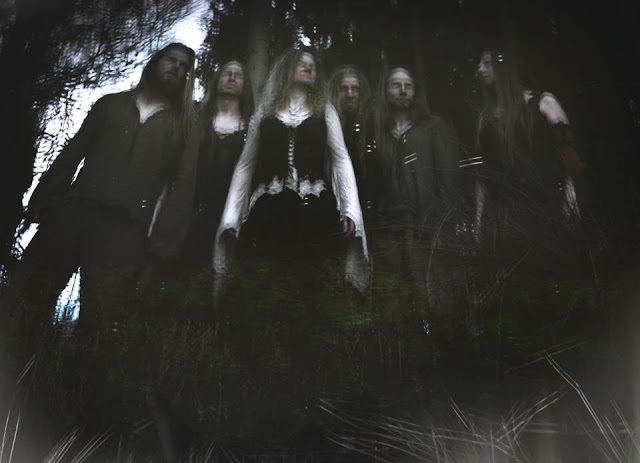 Huldre are an elaborate six piece folk metal act from Copenhagen, Denmark who formed in 2009. 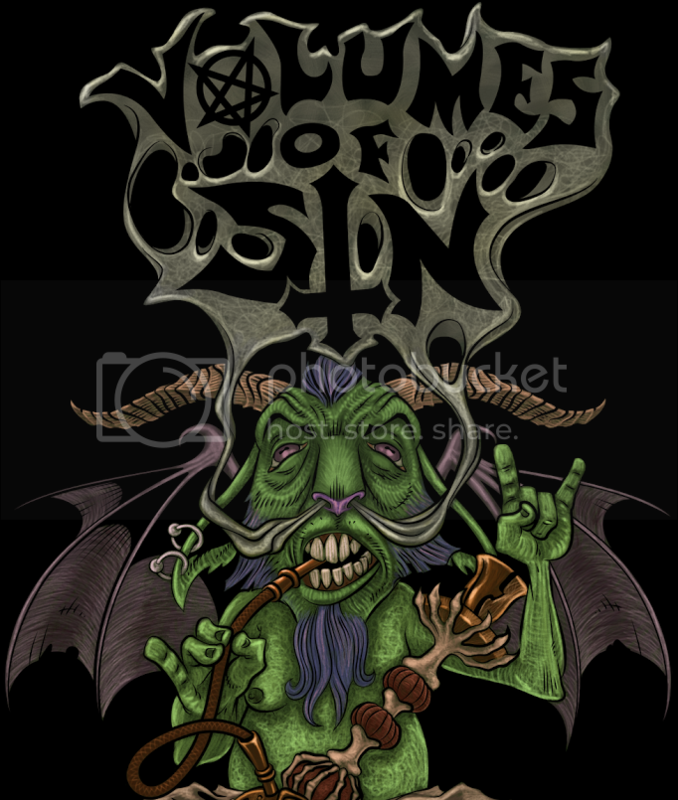 The group released their self-titled demo for free in 2010 before beginning work on their current debut full-length album, Intet Menneskebarn, which amalgamates a wide collection of musical backgrounds and styles from each member of the band. With such a large spectrum of instruments and talent at their disposal, what do these Danish newcomers have to offer within their diverse, traditional sound? It has been said before that Huldre are a traditional, medieval styled band that pulls elements of metal into their folkish endeavors rather than a folk metal band who sprinkle traditional ingredients amongst mostly metal compositions; this is a valid and inarguable fact that deserves to be brought up again for emphasis, as the grounds of Huldre are built upon traditional medieval instruments and Danish folk structures while adding just enough metal factors to classify themselves as a metal band. Within the eleven track listing, audiences will find themselves captivated by both peaceful, relaxing, subdued structures and upbeat, colorful, energetic songs that will make one want to jump up and grab the nearest person, interlock arms with them and begin circle kicking or dance moshing. 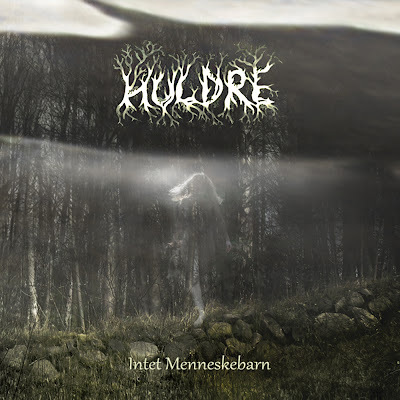 Huldre are comprised of a vocalist, violinist, guitarist, bassist, drummer, and a flutist who also contributes a hurdy gurdy. The female vocals are entirely clean and rival that of Masha Scream of Russian folk metal band Arkona, just without the inclusion of harsh elements. The vocals have a wonderful range of octaves that come off semi-operatic at times and relax the listener even through the most turbulent of tracks. The guitar has a crunchy distortion and generally sticks to palm muted riffage with occasional digressions into clean strums, melodious solos and delirious tremolo picking. While the guitar does have a fair share of galloping triplet and quadruplet riffs, there are also catchy rhythms that accent the ever abundant violin and flute, along with frantic descending regressions that span an adequate size of the fret board. A few tracks, such as "Beirblakken", leave the electric elements behind and make room for acoustic picking instead. The violin is inspiringly sophisticated and mostly lingers tantalizingly in the background, between the guitar and drums, only rising up every now and then when the particular song composure calls for it to create a haunting lead harmony or solo. The front lines of the tracks are generally led by either the flute, violin, or a compilation of both. The flute replaces the need for a lead guitar by creating captivating hooks that infuse the songs with a passionate energy which easily pervades the overall atmosphere of the album. Additionally, the flute is rarely heard on its own but rather working flawlessly alongside the violin to birth original yet traditional compositions and celebratory lead work. As far as the hurdy gurdy goes, it only makes a few appearances that span less than a handful of tracks, but it is used to set a darker ambiance and mood when the recipe calls for it. Last but not least, the drums are never heard holding the same beats or patterns; instead, they utilize virtually every element of the kit while branching out consistently to provide a contrasting background beat. There are rolls, double bass kicks, cymbal crashes, toms, rides and a plethora of unique rhythms that constantly bring something new to the background of the content. There are many styles presented on Intet Menneskebarn, including both traditional medieval and danish folk music, classical elements, a small touch on death metal and even reggae. "Spillemand" is an entirely instrumental track which incorporates an awe-inspiring violin composition that dances energetically with the guitar, drums and flute in a perfect harmony that is nearly unrivaled by anything heard before; then suddenly in the middle of the song is a Caribbean reggae inspired segment that pushes the deep, twangy bass to the front of the mix while the flute happily merges effortlessly into the new rhythm as the drums do the same. "Havgus" comes off heavily inspired by more traditional, classical song structures which are conveyed well through the chugging bass line and violin, which waltzes with the vocal composition. All of the music just seems to flow so seamlessly together that it is hard to give it justification in just written words, it's something that must be experienced audibly to fully appreciate the writing talent of the entire band. "Ulvevinter", "Gennem Marsken", "Vaageblus" and "Knoglekvad" are all equally deserving of a mention as they are some of the best tracks present, along with the aforementioned songs "Spillemand" and "Havgus". 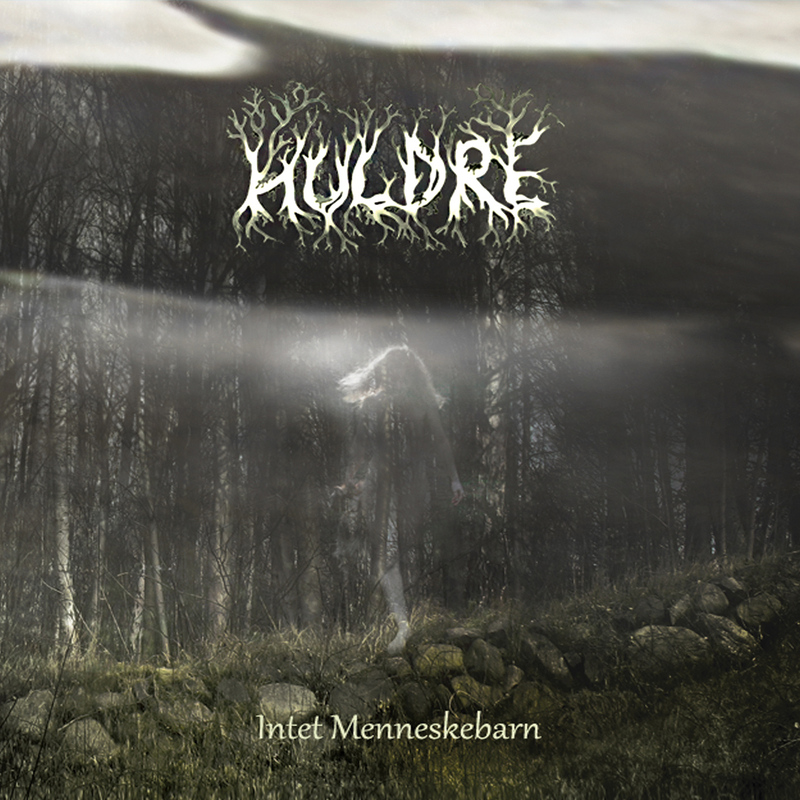 Intricately amazing, sophisticated and catchy, Huldre have done such a beautiful job with Intet Menneskebarn that it is hard to justify the melodious compositions with simple words! The song structures cause the instruments to dance and waltz with one another; as the vocals enchant the listener, the violin caresses the flute while the guitar backs them with a driving distortion and the drums make the content thump with liveliness. 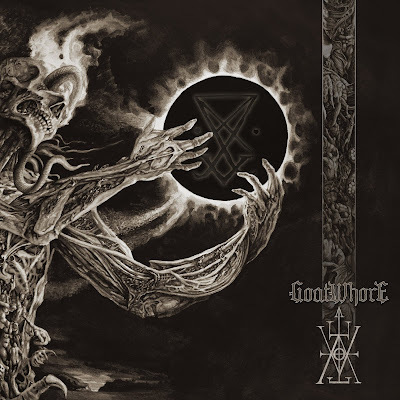 The only thing that could bring this content to a more potent level is if the vocals became aggressive more often, rather than sticking to just a forlorn, comforting style; the vocalist is capable of talented harsh vocals, as they make a brief appearance in "Ulvevinter". This is one album that gets better with every listen until the audience is exclaiming "wow" with every track that passes. Don't let this one pass you by, by any means! Some of the most astounding folk metal I've heard in a very long time!